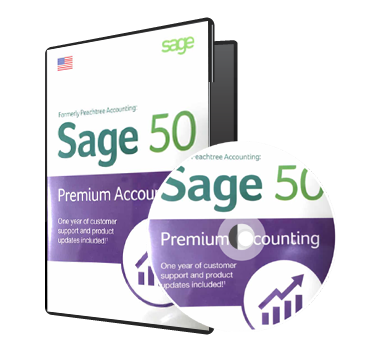 Sage 50 Accounting Software (Formerly known as “Peachtree Accounting”) is a readily available accounting software that you can use to keep track of your business transactions and also manage your business finance. This software is suitable for small and mid-sized business. Now, with the new rebirth of Peachtree Accounting now known as “Sage 50”, you can now record transactions in 14-digit figures, apart from other enhanced functionalities. Furthermore, Sage 50 is easy to use and is compliant with IFRS. Also, the software is within reach and you can always get support from the manufacturer, provided your purchase your own licence. Accounting is no longer done as it was in the “Stone Age”. We are in the Information Technology Age. At this point, it should not be heard that organizations are not using accounting software to process their business transactions. Also, the job of the accountant is becoming more demanding as, he is required to produce reports on a timely basis. Therefore, the knowledge of an accounting software is very fundamental in order to meet this match. Unfortunately, many accountants do not have the skill to use any accounting software. Some reasons that accounts for this are: not having time to attend training programs, low cost on budgets, distance between training centres and the home to mention but a few. In order to bridge this gap, I have decided to create this “VIRTUAL SAGE 50” Video Training Course. This has become necessary to bridge the gap between the demand for accounting software skills and the limiting factors faced by the accountant. You no longer have to leave your home or office before you can learn how to use Sage50. You get any industry-specific training at no extra costs when the same is released by the author. Unlimited support for any specific application of Sage50 to industry-specific situations. MODULE4-SETTING UP YOUR ACCOUNT PAYABLES-Creating records for payables, rules for creating records, setting default information and recording opening balances. MODULE6-SETTING UP YOUR INVENTORY ITEMS-Creating inventory records, setting default information and recording beginning balances. MODULE7-CUSTOMIZING THE SAGE 50 PAYROLL FOR YOUR BUSINESS-Identify the Payroll features that are suitable only for the Nigerian environment. MODULE8-USING LISTS IN SAGE 50-Learning how to use the List menu on Sage 50. MODULE10-ACCOUNT RECEIVABLE TRANSACTIONS AND SETTING UP VAT. learn how to post customers transactions and also track VAT automatically. MODULE11-INVENTORY TRANSACTIONS-Learn how and when you should use the Inventory adjustment task window. MODULE12-PAYROLL TRANSACTIONS. Learning how to use Sage 50 to post your payroll transactions. MODULE14-SUNDRY ADMINISTRATIVE TASKS-changing IDs, Voiding transactions, Backup & Restore data, Data verification, Archiving a company, Creating Users, Change Accounting Period, Year-end wizard etc. MODULE15-DESIGNING YOUR FINANCIAL STATEMENTS-Changing the default Sage 50 Financial Statement using the Financial Statement Design window and the wizard. These course shall be delivered via email on downloadable Zip Folders, 5 minutes after you payment is confirmed.